the biggest beneficiary and middling states (like Britain) likely to be the biggest losers. end up looking small no matter what policy it pursues. abandon peaceful co-existence, and, as the FT’s globe-trotter Gideon Rahman predicts in his new book Zero-Sum World, begin to fight? of China’s neighbours) this should be easy. The PM, unlike his predecessor, is good at building the personal relationships while putting his priorities across. the run-up to the Nobel Prize ceremony and will happen every time the Dalai Lama books a trip. Fourth, Britain needs to find common projects with China. Unlike Labour’s approach, the Government must not lecture China to behave better in Africa. small and in awe during his visit. 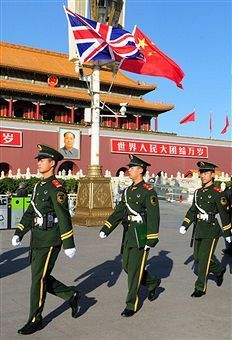 But a pragmatic China policy can preserve Britain’s eminence at least a while longer.